Solimar condominium enjoys some of the most arresting views in South Florida while being in one of the most livable towns in the heart of the city. Located in the quiet town of Surfside, Solimar is has resort style amenities and residence features that make it comparable to any luxury property in Miami Beach and Bal Harbour. It is architecturally stunning and is comprised of two 12 story luxury towers with 110 residences per tower. Each residence has floor to ceiling windows to admire the views, and nine to ten foot ceilings. They also feature walk in closets, marble baths, and top of the line equipped kitchens. Outside of your luxury residence, you will certainly enjoy the building features including whirlpool spas, private and air conditioned cabanas, ball room, gym, card room, and the full service concierge. It is secured 24 hours a day and has valet and assigned parking. It is serene and located in one of the most sought after areas of South Florida. Surfside was officially incorporated in 1935 and its’ population is roughly 5,800. Its’ composition of single family homes, condominiums, and a traditional business district make it a diverse area to live in, with such a charming personality. 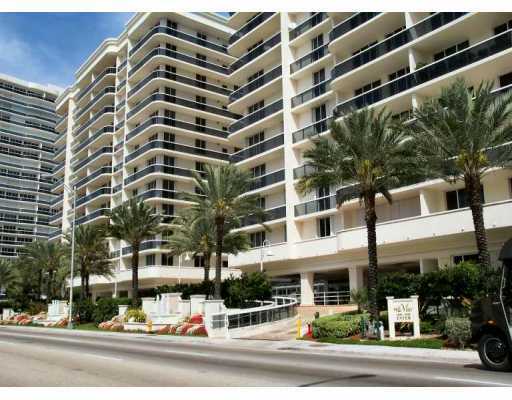 It is on the northern end of the island of Miami Beach and occupies 88th Street to 96th Street of Collins Avenue. Its’ neighbors are Miami Beach to the south and Bal Harbour to the north. Street names are famous writers such as Dickens and Byron, and it is a stone’s throw to the Shoppes at Bal Harbour. The Shoppes at Bal Harbour are home to some of the most luxurious boutiques in South Florida including Gucci, Prada, and Tory Burch. The dining in Bal Harbour and Surfside range from casual bistros to some of the nation’s leading chef’s restaurants. The nightlife and color of Miami Beach to the south and the glamour and distinction of Bal Harbour to the north, Surfside is one of the most desirable areas of South Florida for both families and seasonal residents.